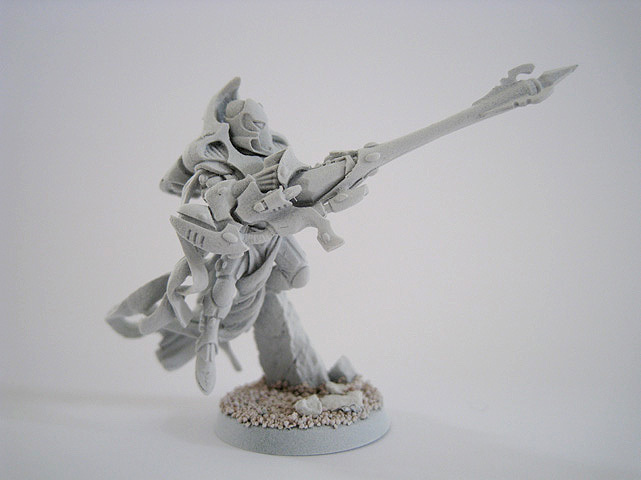 The models for the Shadow Spectres are fantastic and unique, whilst still retaining plenty of the design cues that immediately mark them as Eldar. 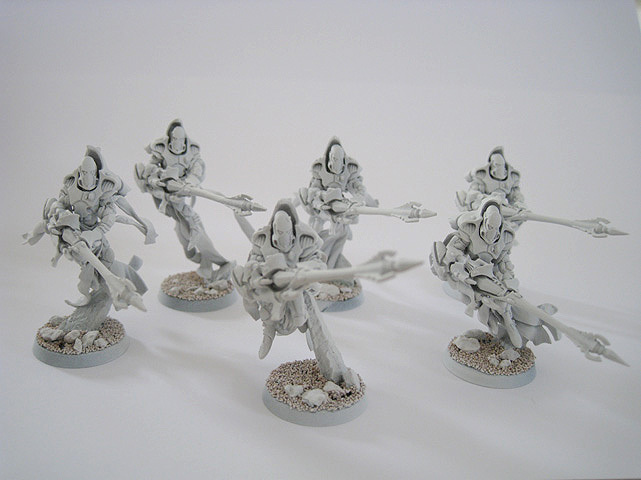 The only conversion work that I did on these miniatures was to cut down their scenic bases so that they appeared to be floating rather than flying. 1. 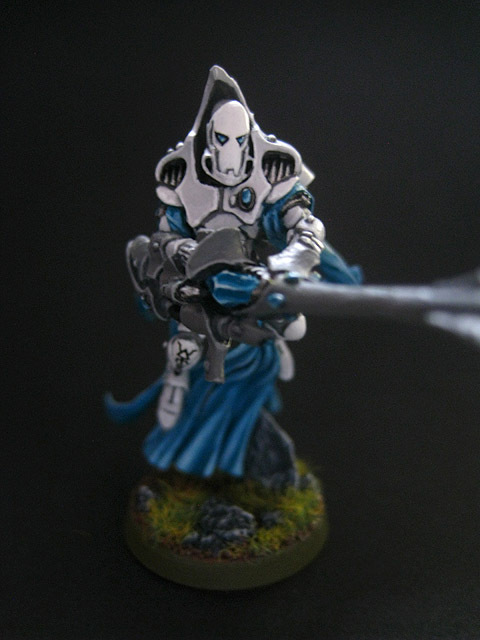 The first of my squad of six Shadow Spectres. 2. The second Shadow Spectre. 3. The third Shadow Spectre. 4. The fourth Shadow Spectre. 5. The fifth Shadow Spectre. 6. 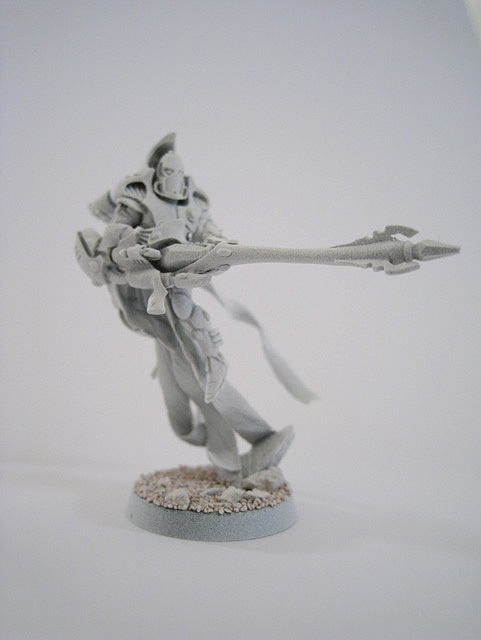 A sixth Shadow Spectre was purchased separately from an online bitz company, in order to bolster their ranks. 8. 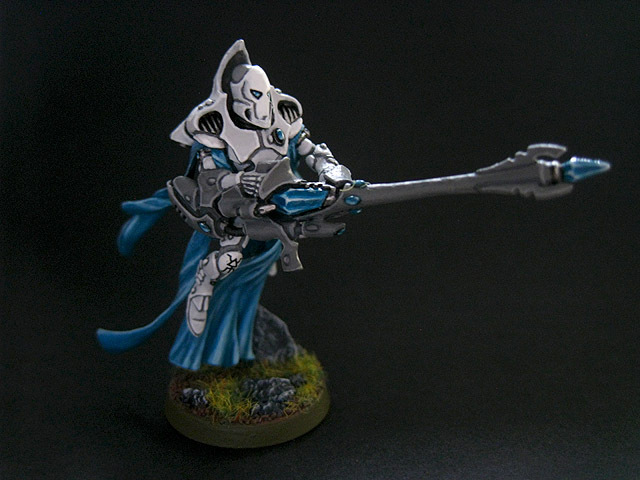 My first full-painted Shadow Spectre. I chose a muted colour palette to emphasise the ethereal nature of this Aspect. 9. 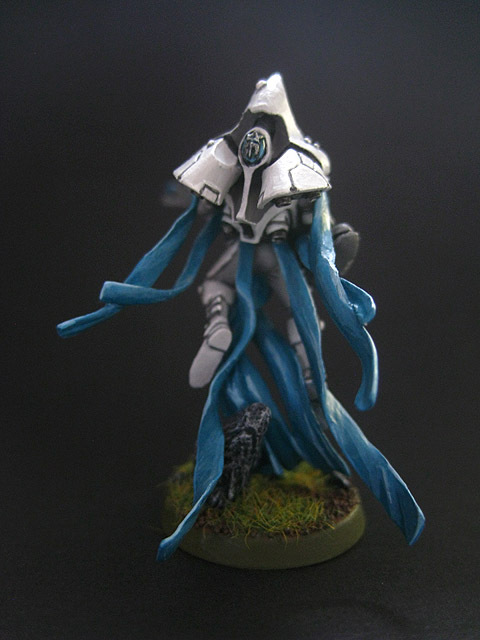 Side view of my completed test miniature. 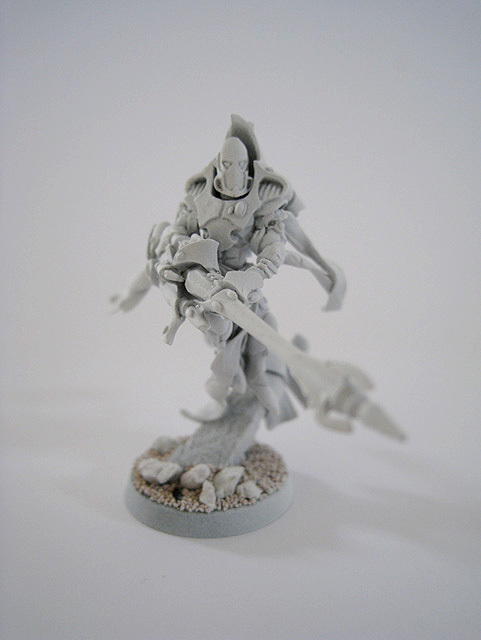 The armour is a very pale grey, with white pauldrons, kneepads and faceplate. All of the robes, ribbons and gems are painted in a turquoise. 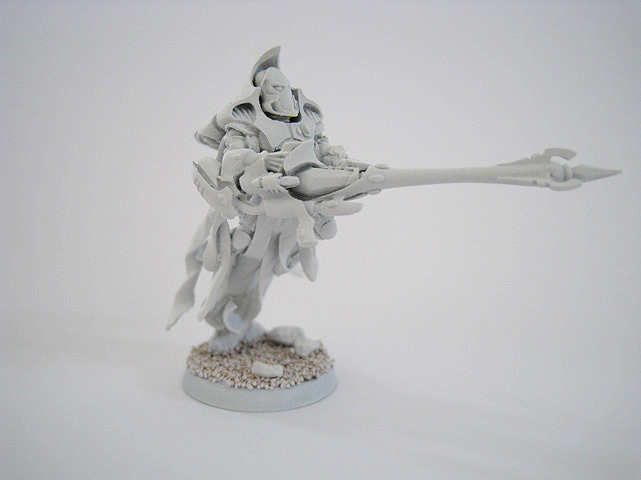 Silver has been used to detail the jetpack, gem surrounds and parts of the gun. 10. 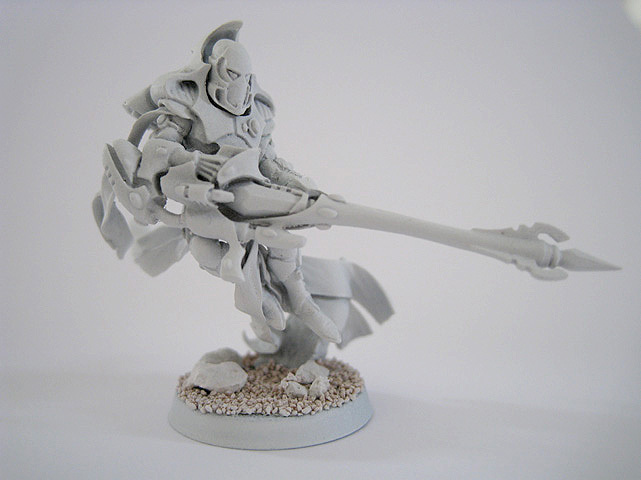 Rear view of the Shadow Spectre. 11. 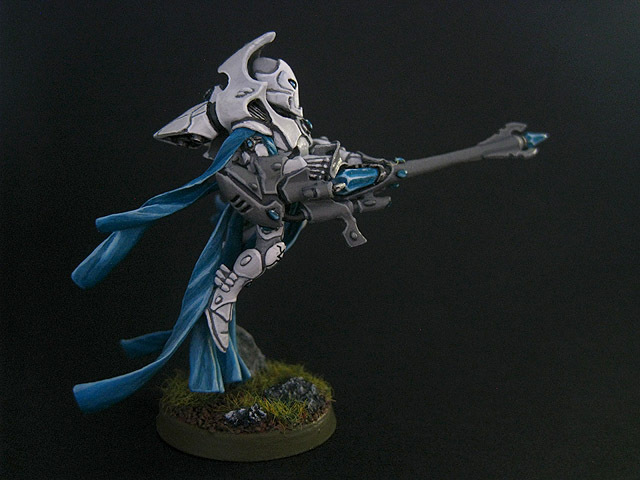 Head-on view of the first painted Shadow Spectre. 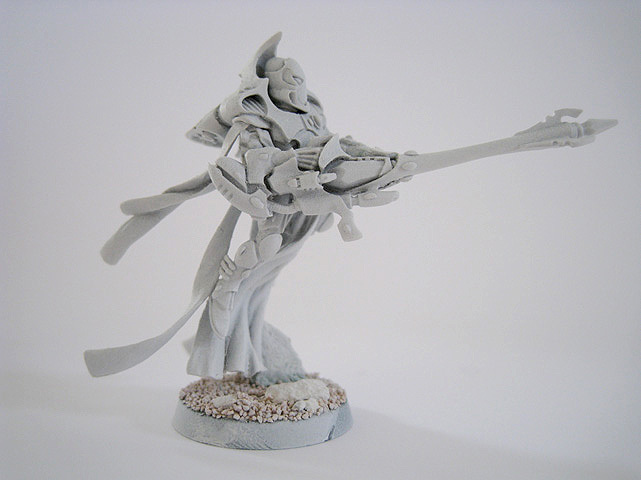 A transfer from the Forge World Eldar sheet has been applied to the right kneepad. The design is the rune for the Shadow Spectre Aspect. 12. 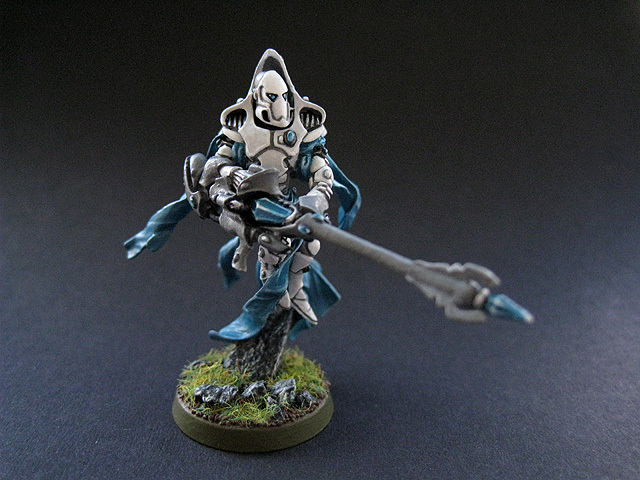 The second Shadow Spectre was completed around a year after the first. 13. 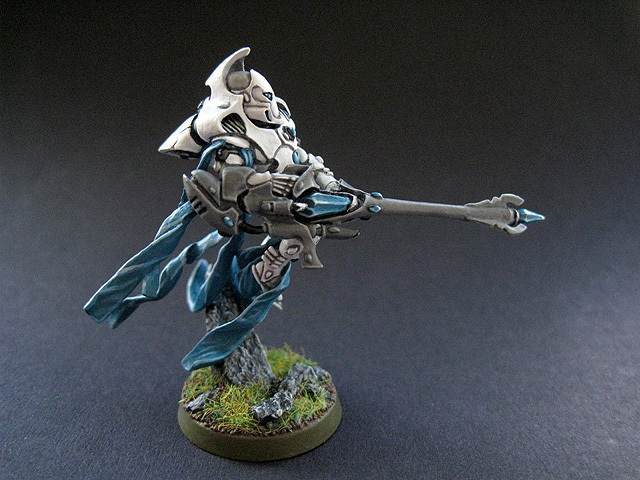 Side view of the second painted Shadow Spectre. 14. 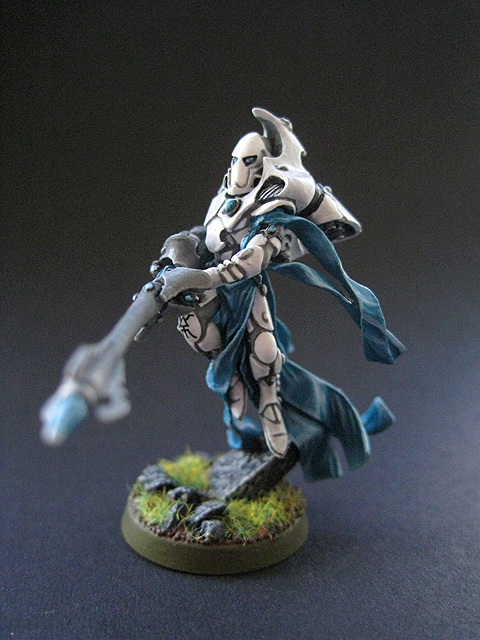 Front view of the seocnd Shadow Spectre, focusing on the details of the flowing ribbons and lower body.